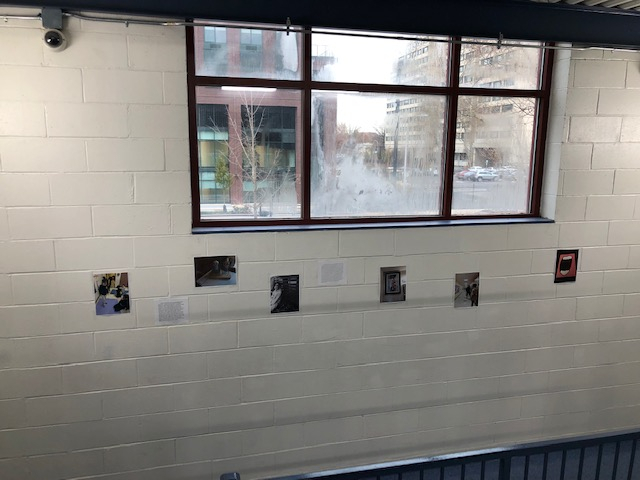 (November 26th, 2018--Jersey City, NJ) Explore Middle School held a Human Rights Art Gallery as the 1st culminating project of the school year. 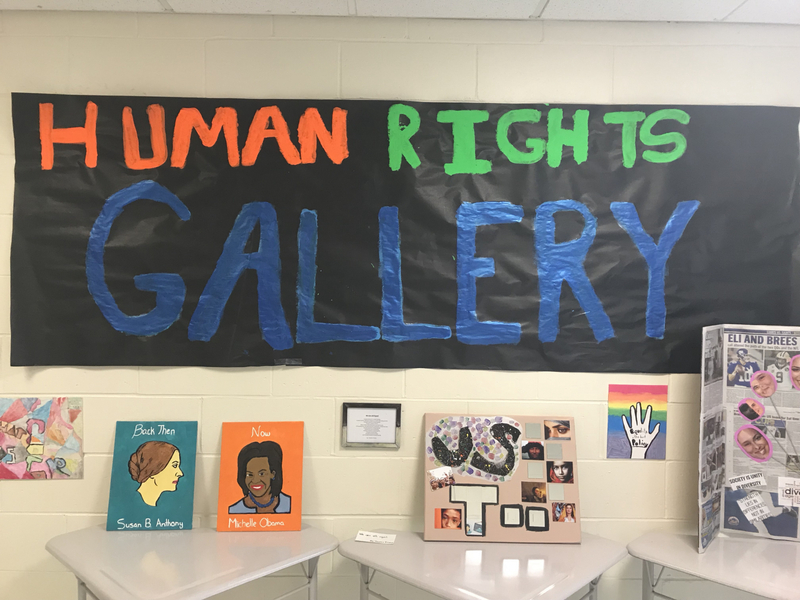 Human rights served as the 1st thematic unit for the students and the language arts department headed this unit by creating project-based lessons and activities focusing on a variety of human rights. 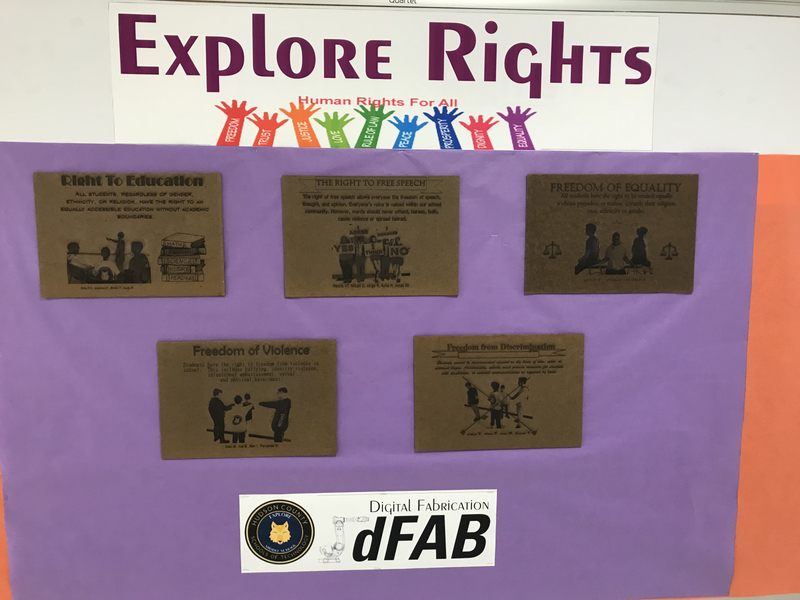 The students were encouraged to not only learn more about what human rights are but also investigate human rights issues around the world. 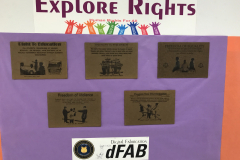 Ms. Heather Garrett began her unit by reviewing the Universal Declaration Act of Human Rights with the 6th-grade class. 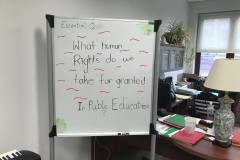 This was an eye-opening experience for students who were unaware of the need for the United Nations and the variety of human rights articles that were created. 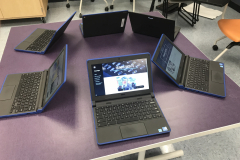 “I knew some things about the Declaration. 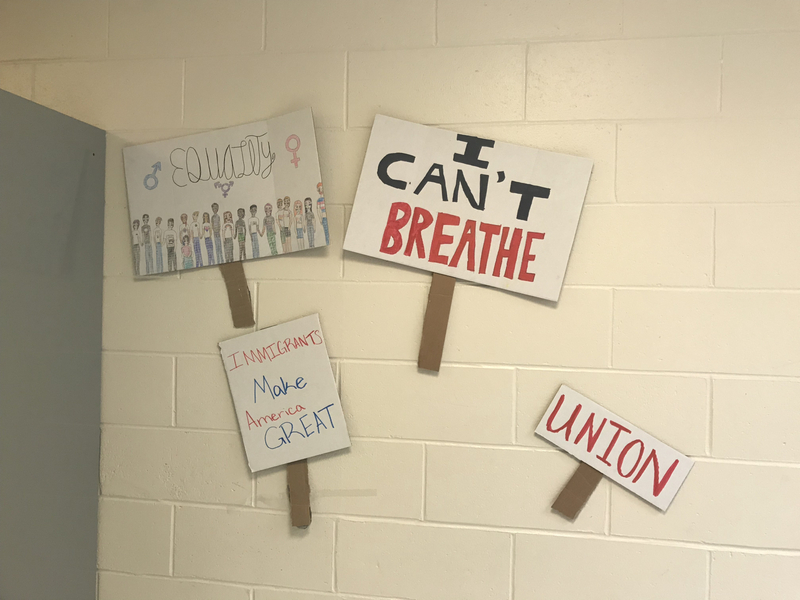 I learned more in class about the struggles they went through to create this Declaration. 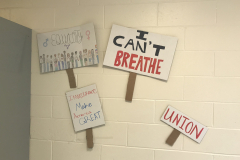 I learned more about how people had to fight for these rights much later than the Declaration came out. I didn’t think it was fair that after this Declaration so many people didn’t have them and had to really fight. I learned when something is truly important, you can’t expect things or ask people for things. 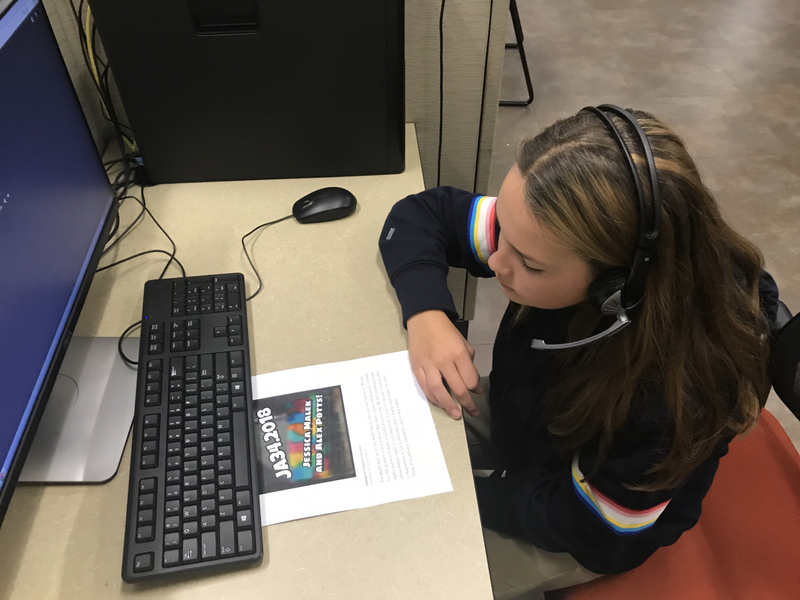 Sometimes you have to put a lot of effort into and get it done yourself,” 6th-grader Asha Hawkins explained. 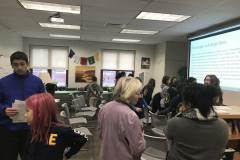 The 6th graders then spent time investigating stereotypes and discussing whether or not they can be harmful. 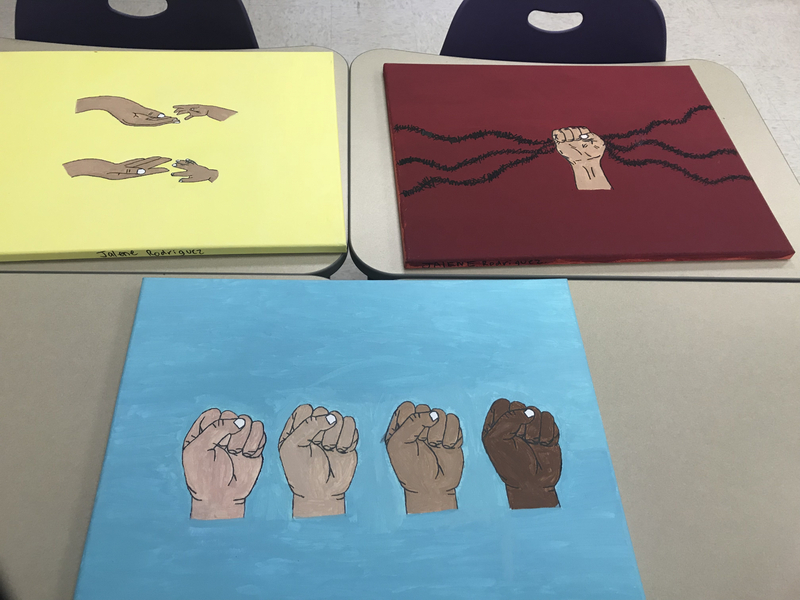 For their final projects, the students chose a culture or group of people they felt were affected by stereotypes. 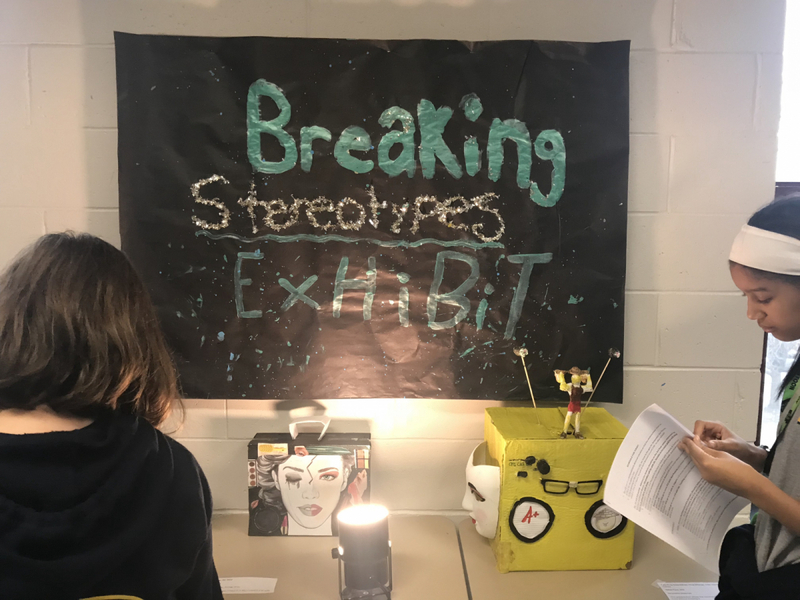 The students then created a stereo and adorned it with symbols and images that represented the struggles these people face. 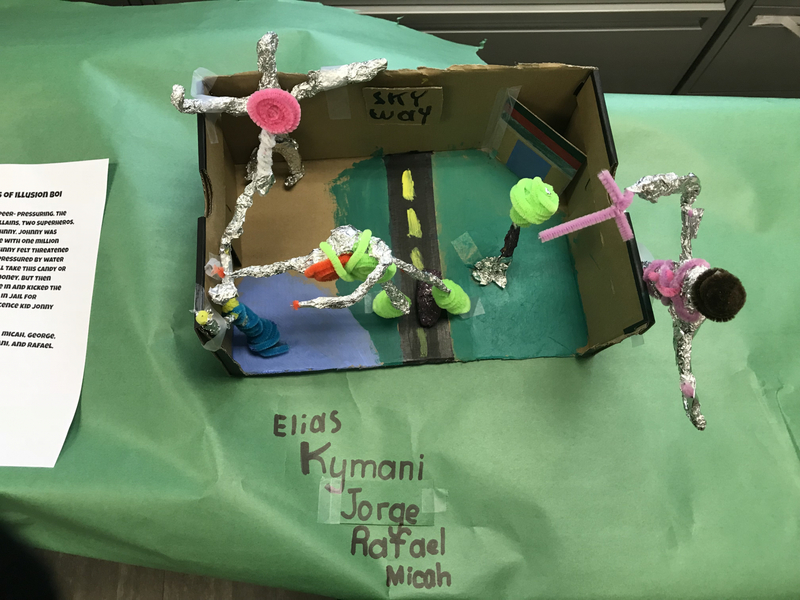 The students created stereos focused on topics gender norms, Native Americans, Asian and French culture. 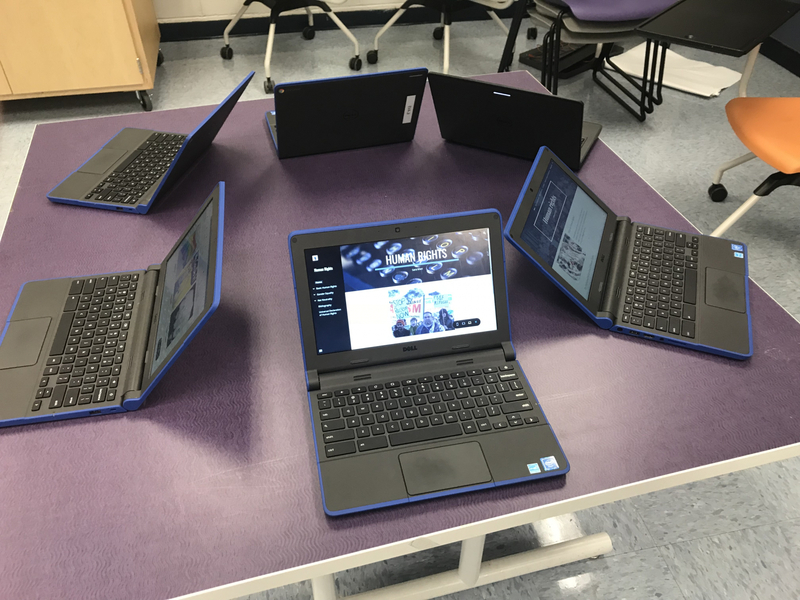 “I did a stereo for Asian stereotypes. 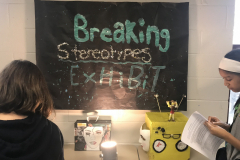 We decorated the stereo with chopsticks and painted it yellow to represent yellow face. 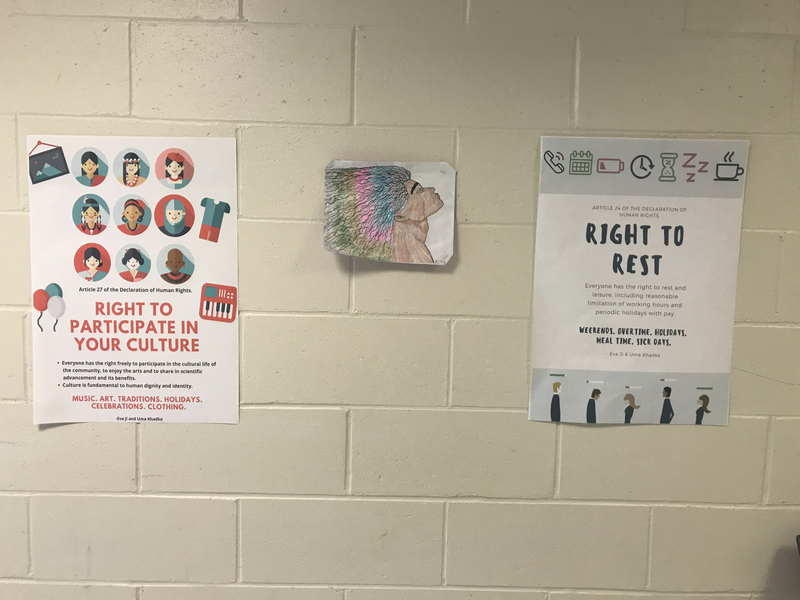 We also included symbols and statements to represent the stereotype that Asians are very intelligent. On the back of the stereo, I wrote an x across the word stereotypes. I wanted people who saw this to understand that stereotypes affect people in a negative way. 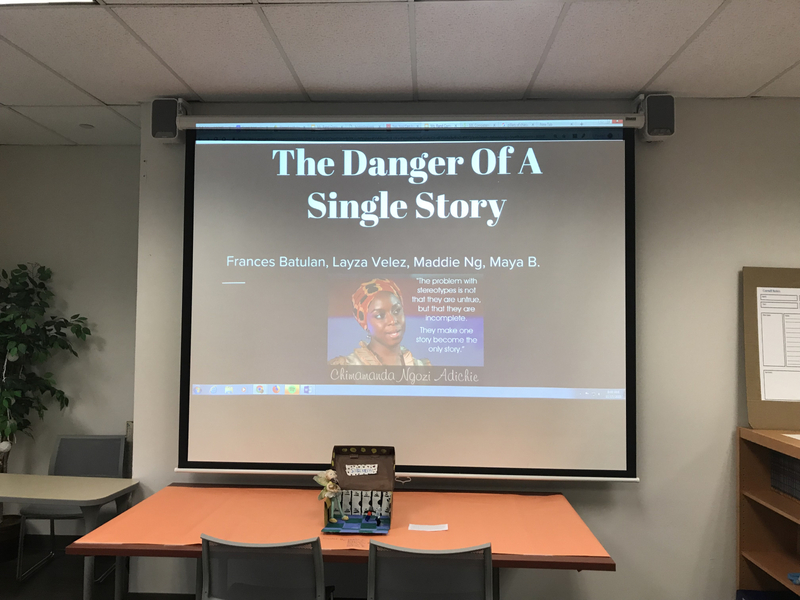 In class, we read about an Asian girl who was consistently told that she was smart and needed to be at the top of the class. 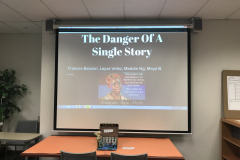 This stereotype greatly affected how she interacted with her peers and when she got to college she realized it was keeping her from having strong relationships with people,” Sibel Gitonga, a 6th-grade student shared. 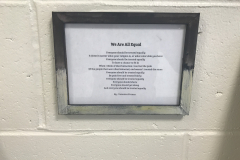 Mr. John Dunphy asked his students to reflect on their lives and consider whether or not they have ever been discriminated against or had a basic human right violated. 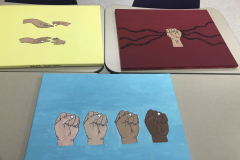 In response, his students created art projects representing inclusion for women of color and the negativity people of color face based on their skin tone. 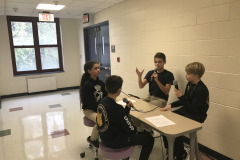 Additionally, each of Mr. Dunphy’s students wrote a personal narrative about the discrimination they or their family have faced. 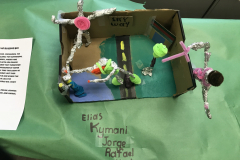 Students wrote about experiences like their grandparents facing the dictatorship of Rafael Trujillo, being stereotyped by members of their own ethnic background, and facing criticism and insults when traveling to places outside of Jersey City. 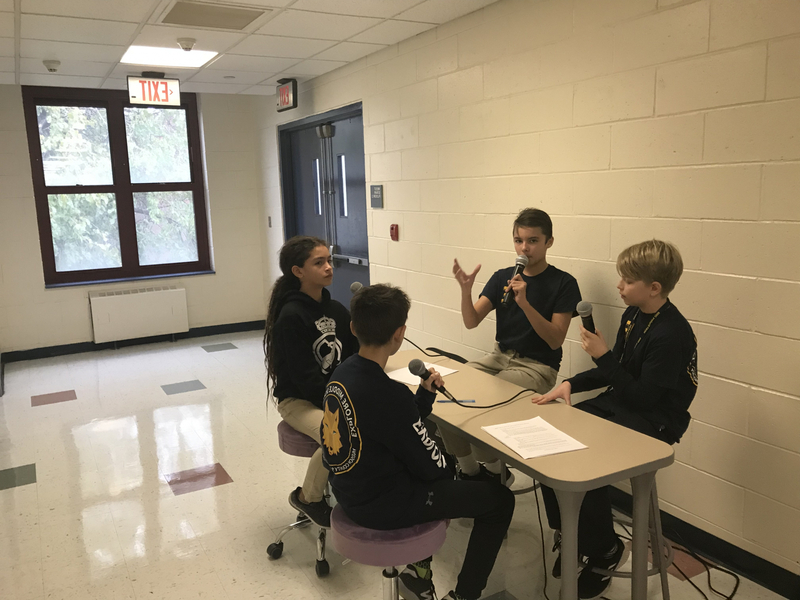 7th graders Jamser Urena and Andre James opted to create a poem rather than a narrative essay. 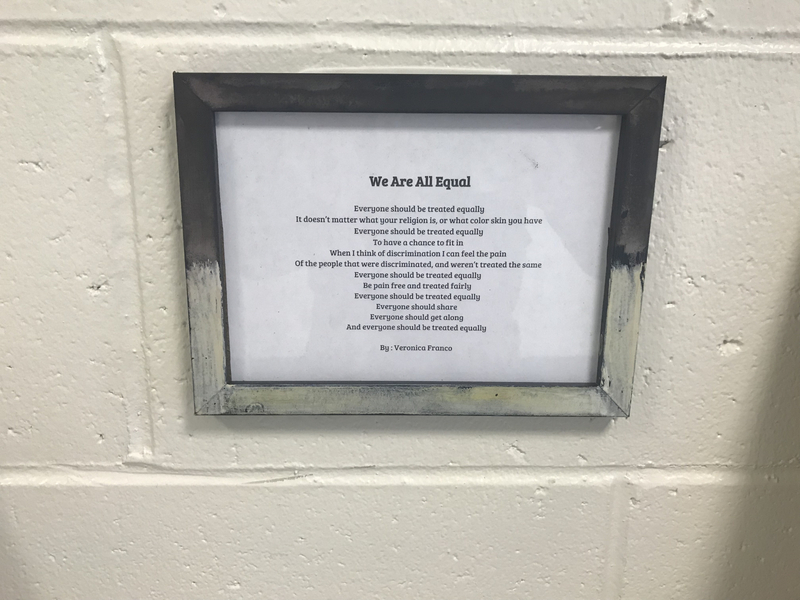 “When people read this poem out loud we wanted them to hear what it was like when people made fun of us. When I was in the 5th-grade people made fun of me for being Hispanic and I needed to share that. 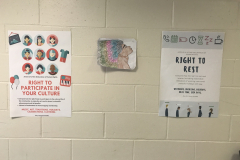 We included stereotypes that are common, but we wanted people to know that they are not true,” Urena shared. 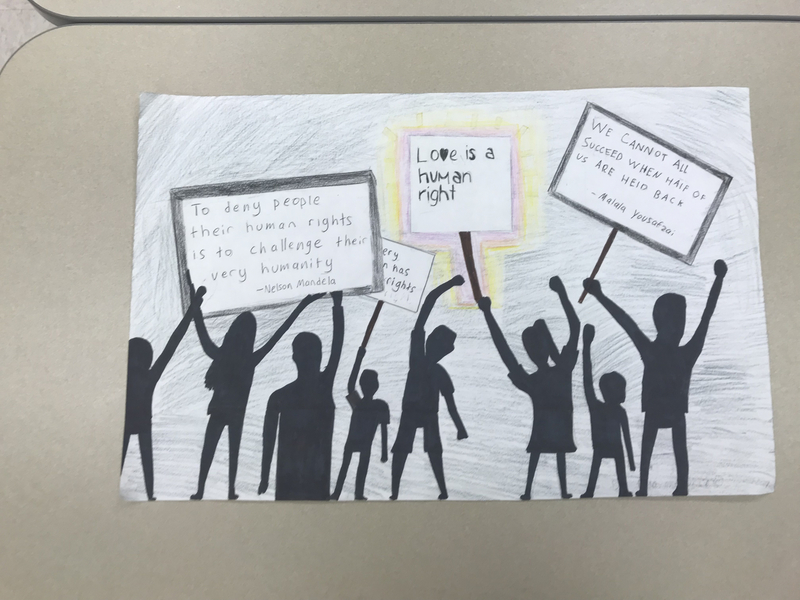 For her 8th grade classes, Ms. Justine Franco chose to encourage her students to discuss a human rights issue they believed needed attention. 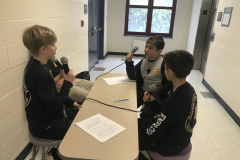 The students were tasked with creating podcast episodes that included facts and anecdotes about the issue and its effect on American society. 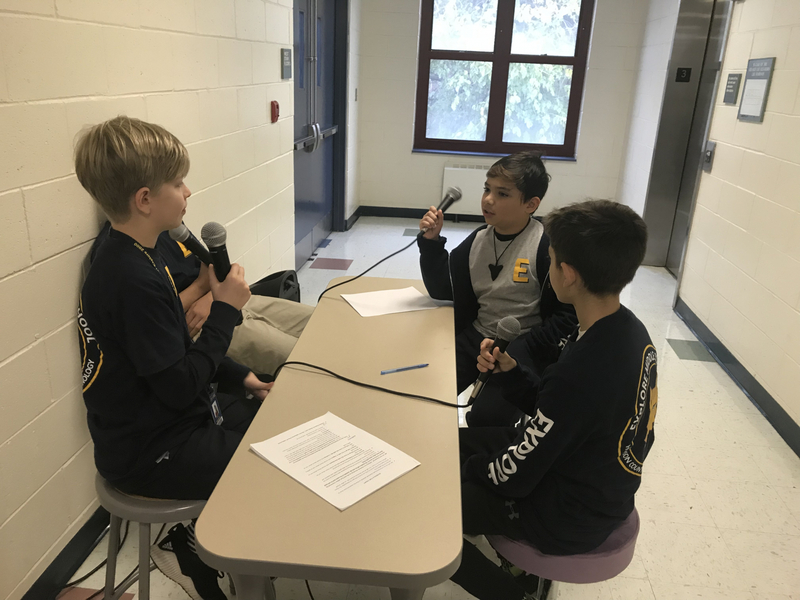 Finding a solution for the issue or suggesting how people can make a change was an integral piece of the discussion during their podcast episode. 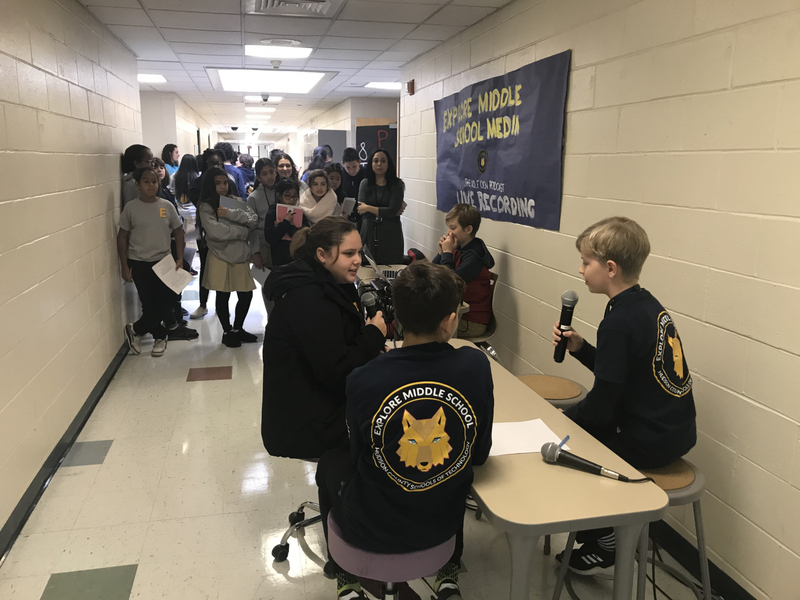 The 8th­grade students did not hold back as their podcasts centered on important topics like police brutality, transgender men and women using public bathrooms, the right to freedom of expression, the right to repair, and Colin Kaepernick among many more. 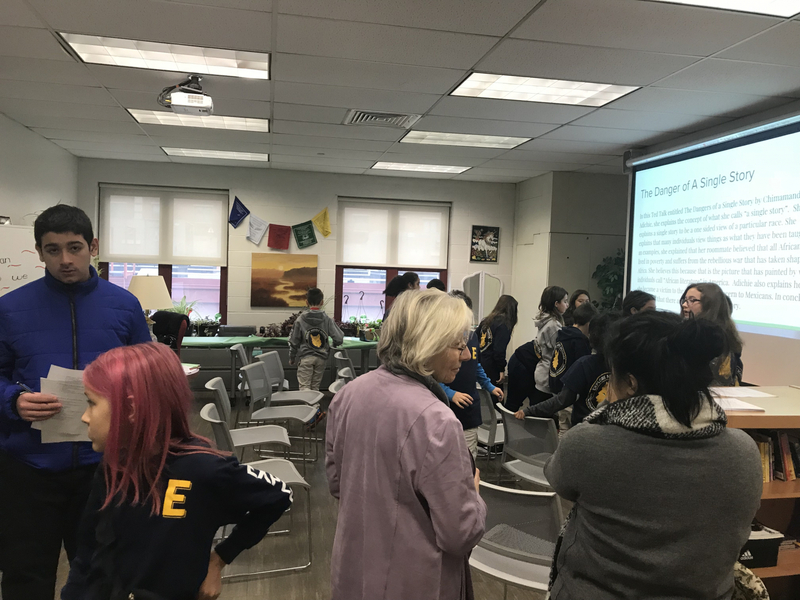 Faculty and staff from all content areas also encouraged students to explore the thematic unit. 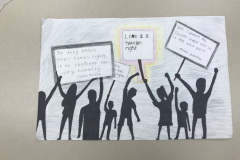 Mr. Kiran Aziz’s technology classes created websites detailing how technology is used to promote human rights. 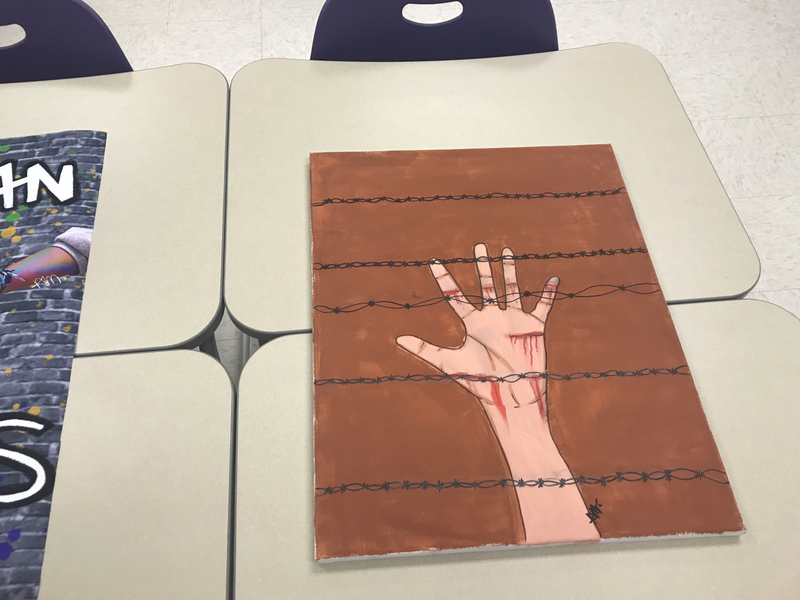 Ms. Frances Bermas’ art class created a variety of canvas paintings that represented and reproduced belief systems. 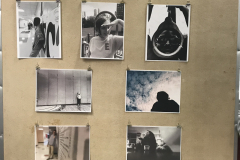 Mr. Alan Cano’s photography students were tasked with photographing peers in a way that allows the audience to learn about those who are different from them. 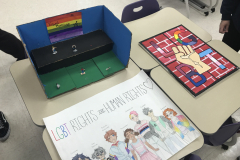 Ms. Martha Rand’s Character Ed students discussed what human rights they may take for granted or expect every day as students at a public school and designed dioramas and posters to display their ideas. 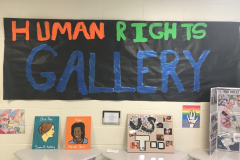 These pieces of art, digital media, and much more were displayed as the human rights art gallery came to life. 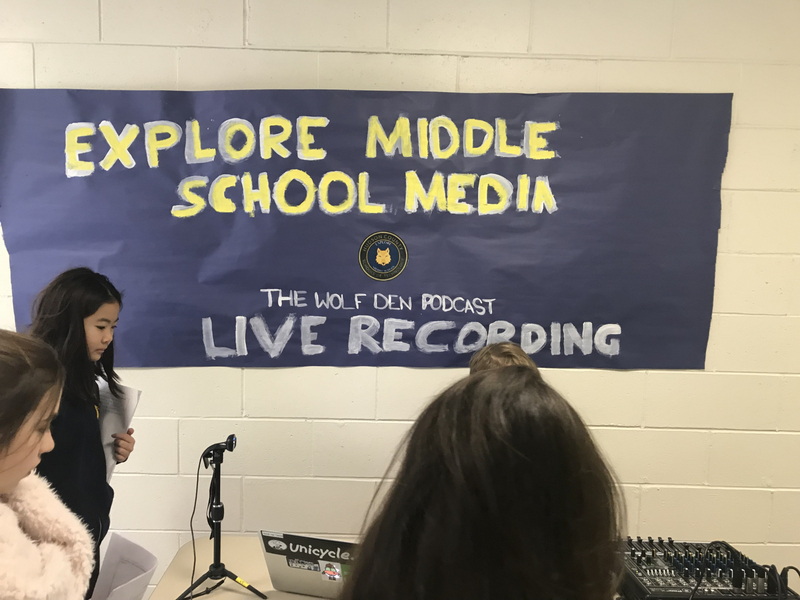 The Explore Middle School Wolf Den Podcast made its debut with producer Henrik Van Tassell assisting hosts Aidan Chapas, Mikail Oflaz, and Felix PS as they interviewed students about their experience viewing the art. 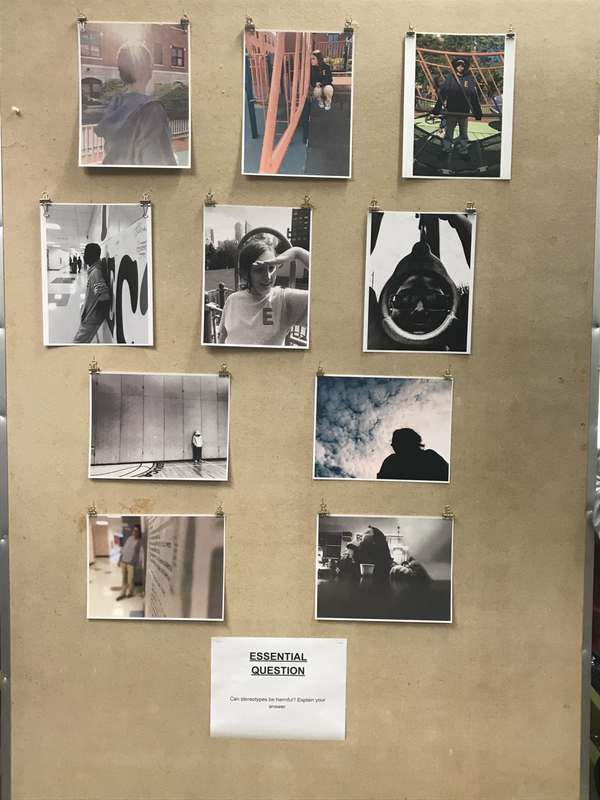 As the students viewed the art throughout hallways and classrooms they were asked to consider essential questions for different parts of the gallery. 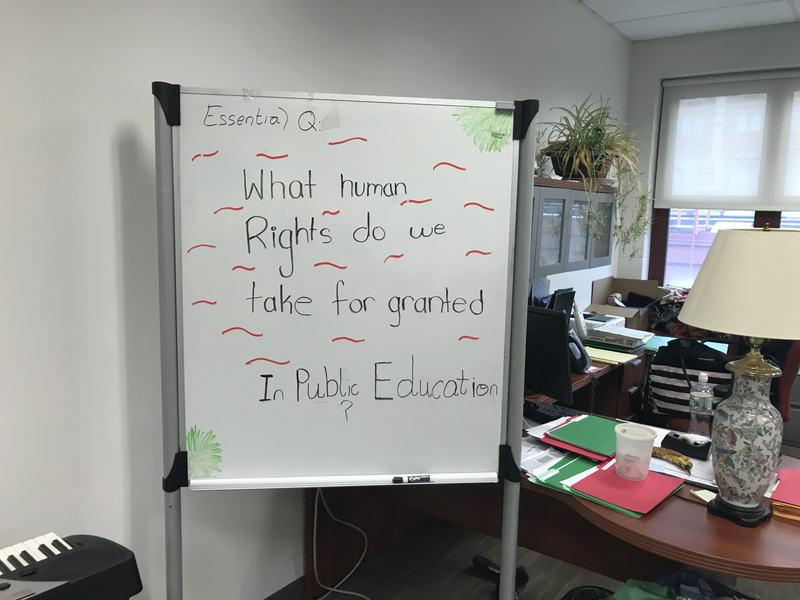 After their tour, the students gathered together to discuss their answers to these questions and expand their thoughts and opinions on human rights topics. 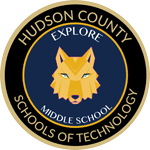 On Monday, November 19th, Explore opened the gallery to parents and guardians, Hudson County Schools of Technology staff, and community members. 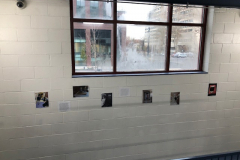 Sarah Marsh, parent of 8th grader Cody, was moved to tears as she walked through the gallery. 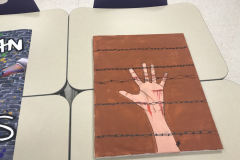 “I was beyond impressed with the students’ final projects. 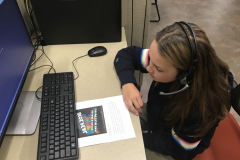 The instructors worked diligently this summer, collaborating and planning this quarterly unit. 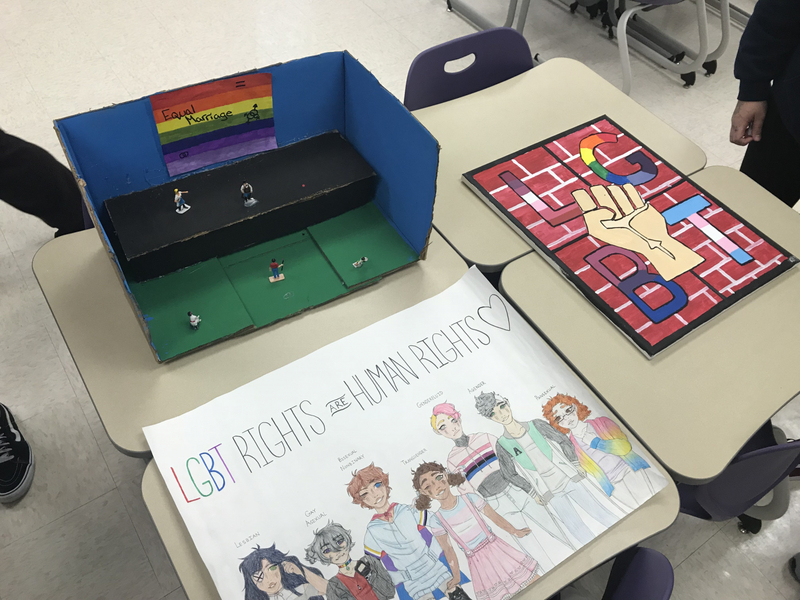 Every class and teacher touched upon a topic within Human Rights, which not only encouraged the students to delve into the unit but also helped them determine what they wanted their final project to center around. 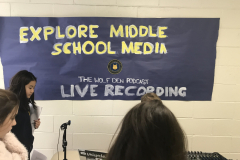 Interest drives learning, and allowing the students to take something they learned that interested them, and run with it, made for a successful Explore Middle School gallery opening. 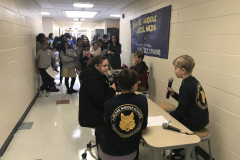 I received overwhelmingly positive feedback from the students, parents, and instructors; I am so thankful for and impressed with our Explore community,” shared Principal Krone.